Nursery school teachers plan and organise activities for pre-school children and lead children in these activities to encourage their intellectual, physical and emotional growth. 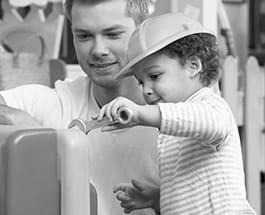 Plan and organize activities for pre-school children to stimulate their language development, self-confidence, social skills, creativity, interest in learning, etc. Lead children in activities, e.g. by telling or reading stories, teaching songs, demonstrating the use of simple musical instruments, preparing craft materials, etc. Teach basic skills such as color, shape, number and letter recognition. Comfort and attend to sick children and children who are hurt or distressed. Observe and evaluate children's performance, behavior, social development and physical health. Confer with parents or guardians, e.g. to discuss each child's progress and needs and to suggest ways in which they can stimulate their learning and development. Facilitate children in the development of proper daily routines such as toileting, dressing and eating. Discuss children's development and problems (if any) with other educators and staff, e.g. by attending staff meetings. Organize and participate in excursions to enhance learning experiences. Cooperate with other professionals (e.g. guidance officers, speech pathologists, psychologists) to assist children with special needs. Attend meetings and workshops to develop and discuss new teaching methods.